4 Bedroom Detached House For Sale in Lewes for Asking Price £585,000. 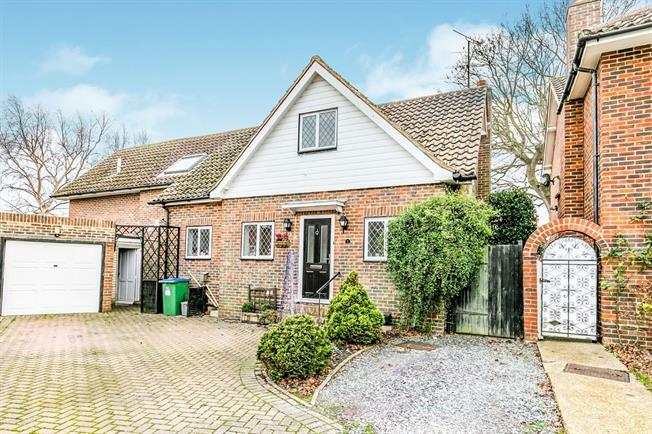 Freeman Forman are delighted to market this well presented and bespoke detached family home in central Ringmer. Accommodation includes a 26ft living room, conservatory, kitchen and shower room at ground floor level. An annexe is also provided which can be accessed both externally and internally and provides a double bedroom with shower unit, dual aspect living room, kitchen and WC. Stairs ascend from the spacious entrance hall to provide three double bedrooms, family bathroom and an additional 17ft study/bedroom. The dual aspect master bedroom provides an en suite shower room and all of the bedrooms offer fitted wardrobe units. There are also substantial storage opportunities available in the eaves. Externally the property has a driveway to provide ample off road parking along with a single garage. The rear garden is largely laid to lawn with established borders and hedges along with access to both the annexe and main house. Freeman Forman would strongly recommend a viewing of this deceptively spacious and versatile home suitable for many modern day needs.